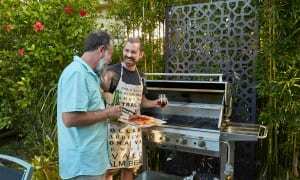 How To Buy The Best Grass Trimmer Or Strimmer - Which? Whether you want to keep your lawn neatly edged or cut down a meadow, there is a grass trimer that's right for you. Read our guide to find the perfect one for your garden. Finding the right grass trimmer will make tidying up the garden a breeze, but there are as many different types of grass trimmer as there are jobs you can achieve with them and buying the wrong one can lead to frustration. There are many potential problems you may encounter: line that gets jammed or breaks frequently; lawn edges that get chewed rather than neatly cut; long grass and weeds that remain stubbornly standing as your grass trimmer flails against them, and a battery that dies within minutes of you starting your jobs. Why do I need a grass trimmer? If you have one or more of these jobs, then a grass trimmer may help you. However, the most common reason why many home owners buy a grass trimmer is they want an easy way to edge the grass. In our tests we have found it's actually easier and quicker to use a pair of edging shears for this job and the results are often neater. What kind of grass trimmer do I need to buy? A grass trimmer is useful for tidying areas where the mower can't reach, such as around the edges of the lawn where it butts up against a fence or steps, or under a hedge. They're also great for neatening straggly grass around a rotary drier or garden furniture. If this is all you need to do, then you can pick a simple grass trimmer without a wealth of features. 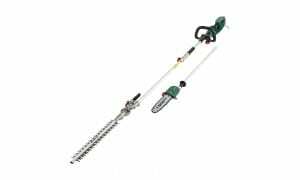 There's no need for a rotating head or an extending shaft and you may prefer to pick one that cuts with a plastic blade rather than grass trimmer line, which can be hard to use. For longer grass, a grass trimmer is invaluable. You need more power to cut through the grass as the grass trimmer has to not only cut through clumps of grass, but also throw the debris away from the cutting area. Thus, a grass trimmer with line will be more suited to this job than one with a blade. If you have areas of tough weeds, you will need a powerful grass trimmer, so look for our heavy-duty grass trimmer recommendations. For the toughest weeds, such as brambles, or for areas of brash, a brushcutter is a better tool. This replaces the grass trimmer line head with one that has a triangular metal plate that spins at high speed. Use these with extreme caution, and take advice on how to use them. Alternatively, employ a professional gardener to carry out this work for you. If you decide you need to cut your lawn and path edges with a grass trimmer, look for one with a rotating head. This lets you cut vertically without having to hold the grass trimmer at an awkward angle. Some grass trimmers also have a wheel that will take the weight of the grass trimmer and make it easier to push it forward at an even height as you cut a lawn or path edge. A few models also let you alter the angle of the head to cut horizontally, which is useful for reaching under garden furniture or hedges. The grass trimmer shaft should be telescopic so you can find the perfect working position. When cutting lawn edges with the grass trimmer head turned vertically, it is good to be able to alter the length of the shaft so you can control the grass trimmer well and see where you're cutting. Finally, look for handles that can be moved along the shaft and to different angles so you can hold the grass trimmer comfortably. If you want to cut long grass and weeds, then you will need one that is much more powerful. Also the shaft will be around 40cm longer than on grass trimmers meant for light garden tasks, so the head is at a safe distance away from your feet. Larger models have 'bike' handles, wide handles which let you swing the grass trimmer in a wide arc. This is more comfortable if you need to cut a large area and will be working for several hours at a time. Other models have loop handles that give the user a choice of working positions, depending on whether they are sweeping from side to side or pushing the grass trimmer around obstacles. In many cases these heavy-duty grass trimmers are weighty, as they are powered either by a petrol motor or a large battery. So look for one that can attach to a harness or shoulder strap to reduce the strain on your arms. Now find the perfect grass trimmer for you by checking out our full grass trimmer reviews. All grass trimmers cut using either plastic, string-like line or small plastic blades. These are rotated at great speed by the trimmer head, cutting grass and weed stems, and pushing the debris to one side like a scythe. In each case you need to remember of regularly feed out more line, especially when cutting long grass and tough weeds, or when edging a flower bed that's full of stones. If you don't do this, the line often becomes too short and disappears back inside the head. You will then need to remove the cover and feed out more line before you can start work again. Most grass trimmers have a double line, meaning two lines come out of the head. This lets you cut faster than a single line, but threading the line on the spool is slightly trickier until you get the hang of it. Thicker line can be used for tougher jobs, such as trimming bramble patches. Line can vary in price from as little as 20p per meter, depending on the quality of the line and the amount you buy at one time. Most people struggle with line feed problems when using a grass trimmer and it is the most common complaint against all grass trimmers. For how to minimise the problems, read our advice on how to avoid line feed problems. 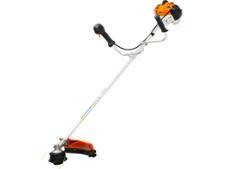 Bladed grass trimmers avoid all the problems of line-feed systems, as they are easily replaced on the trimmer head. They are made from moulded plastic and often break on hard surfaces, such as fences and garden furniture. Bear in mind that blades are not really designed for tough jobs like long grass and weed patches. They can also be expensive, costing up to £1.40 per blade in some cases and you need to factor this into the overall cost of owning a grass trimmer. However, some manufacturers offer free blades for the life of the grass trimmer. A guard around the back of the grass trimmer head protects the user's feet from being caught with the line or debris, and also cuts the line to the right length as it is fed out. The kind of grass trimmer you choose, electric, cordless or petrol, will decide how much you need to spend. The cheapest are electric grass trimmers that you plug into the mains. 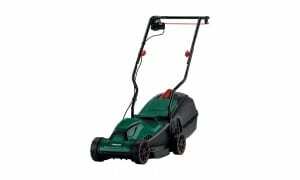 They are generally designed for use around the garden, for light-weight tasks such as trimming a few bits of grass around the fence or edging the lawn, and can be bought for as little as £20. However, in our tests we've found that buying a very cheap grass trimmer is often a false economy. You can get a Best Buy electric grass trimmer for around £50, so you don't need to spend much more to get a decent model. 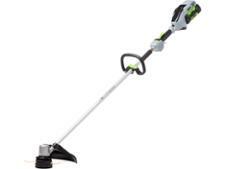 Cordless grass trimmers are more expensive as you pay for the convenience of not having a power cord. The cheapest Best Buy model is around £80 and this is suitable for lighter tasks around the garden. However, for a more powerful grass trimmer with a longer-lasting battery you can expect to pay over £130. The most expensive cordless grass trimmers are designed for cutting down long grass and tough weeds and have a long shaft and a fixed head. These aren't suitable for light garden tasks and often cost over £300, including the battery and charger. Manufacturers often have one or two standard batteries and chargers that can be used with a wide range of tools. Before you buy check to see if any of your existing tools have a battery and charger that can be used with the tool you are planning to purchase, as this could save you a considerable amount of money. As some people may already own a compatible battery and charger, these are sometimes not included in the price quoted for your tool, so check the small print before you buy. Alternatively, you may see it as a good chance to buy a second battery for your tools. Batteries are sometimes cheaper when bought with a tool, and it’s often useful to have a second one charged and ready to go when you’re carrying out jobs that will take some time to finish. Petrol grass trimmers cost more than either cordless or electric models, with the cheapest models starting at around £120. 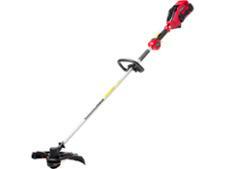 These are designed to cut down long grass and weeds and aren't easy to use for light garden tasks like lawn edging. Here it's worth paying a bit more for a top-scoring brand. Look at our Best Buy grass trimmers to choose the right one for you. Any lawn looks better with a crisp, clearly defined edge. The edge should be around 5cm deep as this makes it easier to use the edging shears. To cut the lawn initially, use a half-moon lawn edger that has a flat blade to slice through the grass. If your lawn has straight edges, lay a plank where you want to create the edge, and cut along the edge using the half-moon lawn edger. For curved edges, decide where to position the edge using a garden hose to see the line, then spray along the line using grass-marking paint. Finally, cut along your new edge with a half-moon lawn edger. Push any excess soil back from the edge toward the border, again using the half-moon lawn edger. This will ensure your edge will remain defined for some time. When edging the lawn using edging shears, try to keep the left handle still and pointing down at 90o to the lawn and move the right handle to cut the grass. Remember to sharpen your shears every few weeks to make sure they cut the grass cleanly and with the minimum of effort.